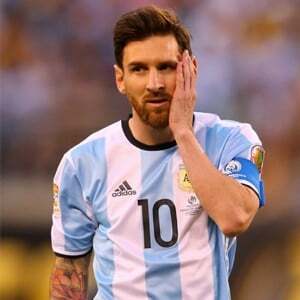 Montevideo - Luis Suarez could yet line up against Barcelona team-mate Lionel Messi on Thursday as South America's battle for 2018 World Cup places resumes with Argentina's trip to Uruguay the pick of the fixtures. With leaders Brazil already locking up their place at next year's tournament, attention turns to the tussle for the three remaining automatic berths on offer in the marathon 10-team qualifying tournament. It means that fifth-placed Argentina have little margin for error as they head to Montevideo's Estadio Centenario for the latest installment of their historic rivalry with the Uruguayans. Argentina's path to Russia has been complicated by the Court of Arbitration for Sport ruling on Tuesday that confirmed a sanction against Bolivia for fielding an ineligible player in their September 2016 0-0 draw with Chile. FIFA later converted that result to a 3-0 win for Chile, a ruling that means Sampaoli's former team now have a one-point advantage over the fifth-placed Argentines. The 30-year-old talisman was initially ruled out of the fixture through injury but has traveled back to his homeland to train with the team. Brazil will have the luxury of being able to treat their game against Ecuador in Porto Alegre as a training exercise after securing qualification in their last outing, a 3-0 win over Paraguay in March - their eighth consecutive victory.